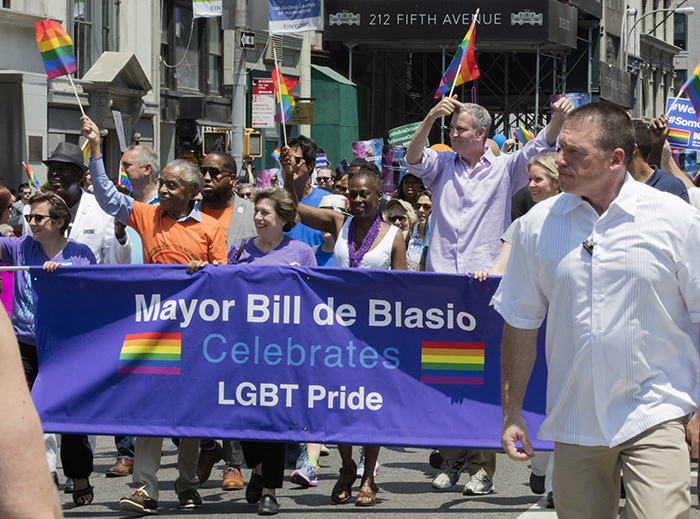 Mayor Bill de Blasio: Everything we could have asked for in terms of the day to celebrate everything this city stands for; to celebrate the most vibrant LGBT community anywhere in the country; to celebrate a city that believes in respect for all people and inclusion. That is what we say – when we talk about New York values – our values are inclusion, tolerance, understanding, diversity. That’s what we believe in. That’s what we celebrate today. Chirlane and I have marched in many, many Pride Parades, but this one will be truly special. This one will not only be a celebration of love, it will be a rejection of hate. This parade is New York City saying defiantly – we will stand up to hatred. We will stand up to those who would try to undermine our values. We believe in a society for everyone. And I have to say the response has been amazing. I think it’s going to be the largest Pride Parade we’ve ever had. I think people know that it’s important to be here today. People can feel this is a moment in history. And it’s been added to by President Obama’s decision to designate Stonewall as a national monument. That’s something that means a lot to the people of New York City. We were the birthplace of the LGBT civil rights movement, and we are proud of that fact. And we thank the President. 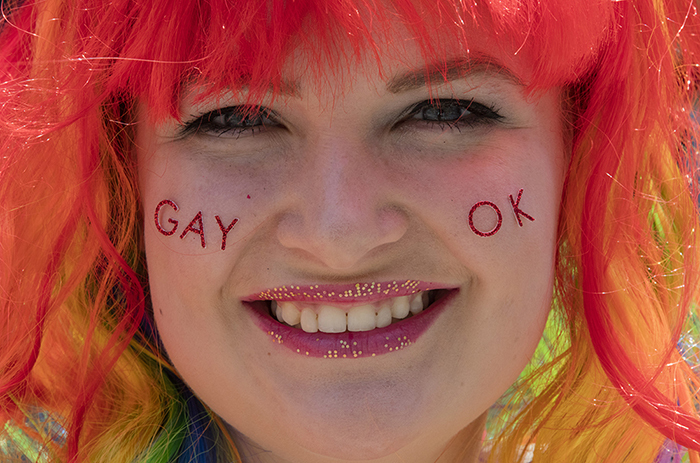 I want to say to everyone out there – everyone who’s already at the parade, everyone who’s thinking of coming over – you will be safe. The NYPD will protect you. We have extraordinary NYPD presence to make sure that this will be not only the biggest, but the safest parade we’ve ever had. I want to thank everyone – all the extraordinary people who organized this parade. I want to thank all the activists, all the elected officials – everyone who have helped to build it over years and years. I can say that the heavens smile on us today. And we expect an extraordinary moment in New York City today.